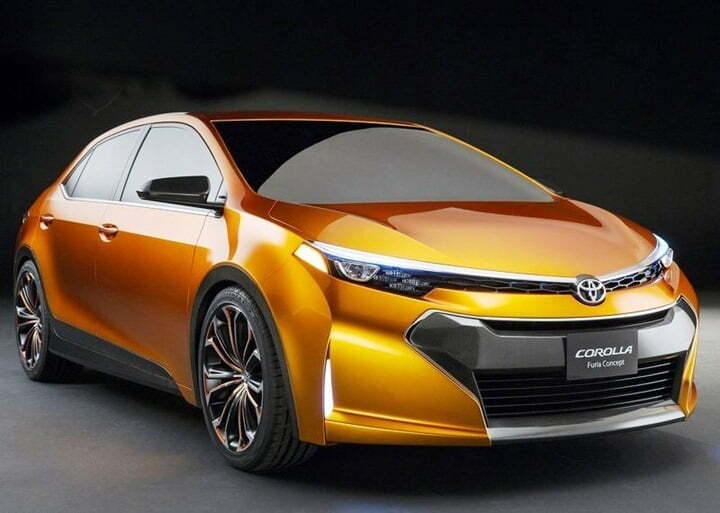 2014 Toyota Corolla Leaked Pictures- What Is New? 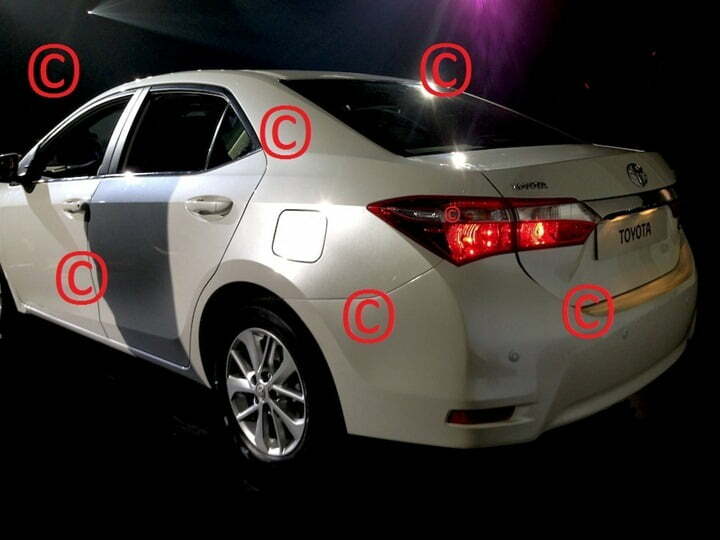 New and clearer pictures of 2014 Toyota Corolla have been leaked on the Internet yet again. This time, it appears to be proper studio shots of the car shared by Autocar India. These new pictures are also exactly the same as that were leaked in Feb 2013. 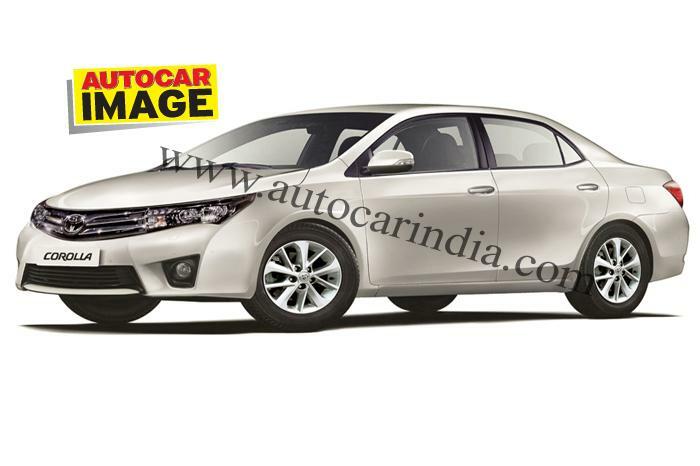 Finally the 2014 Toyota Corolla has come out of covers and a very clear high quality pictures have appeared on the web. These pictures have been shared by GT86Club which reveals the front, side and rear of the new 2014 Corolla. 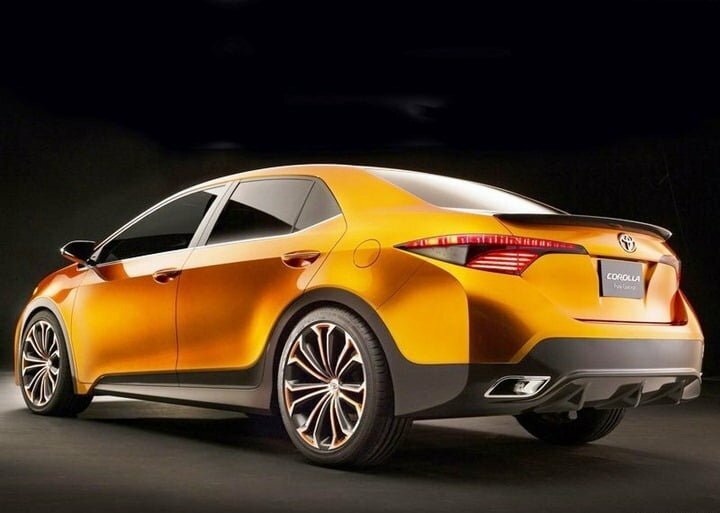 Toyota has already showcased Furia Concept at Detroit Motor Show in 2013 which was the inspiration for the coming generation of Corolla. You can clearly see the design cues being borrowed from it in the new Corolla. The front fascia of the new Corolla gets a major uplift with premium looking parallel chrome slats running across the grille merging with the headlamp clusters. The head-lamps become more chunky and have sharp and sleep looking edges which makes it look leaner and meaner. The body lines on the bumper also makes it look more aggressive. The wheel arches have also become quite pronounced. There is a large air-dam with inverted trapezoidal share and fog-lamps housing is also trapezoidal with fog lamps retaining the round shape. The body lines on the bonnet also give it the macho stance. 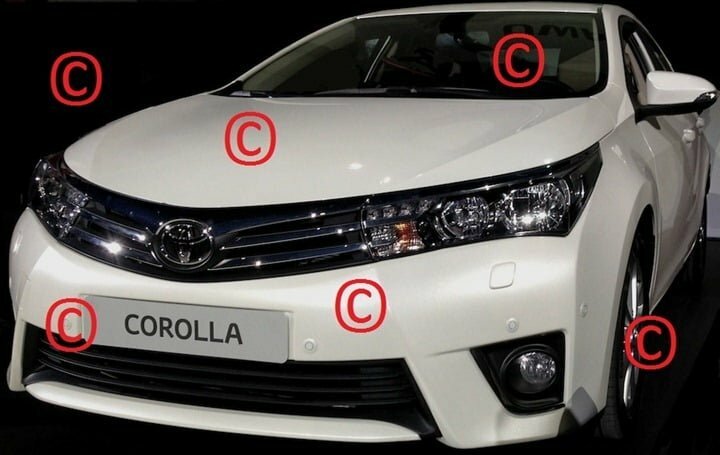 If you compare the front of the leaked picture of Corolla with Furia concept, you will find many similarities. There is significant wrap-around of the headlamps cluster almost till the mid of the mid of front wheel-arches. Looking at the rear of the 2014 Toyota Corolla, there is use of chrome on the rear as well with a wide horizontal slat giving it a premium look. The tail lamp cluster also merges beautifully with the chrome at the rear. The tail lamp cluster goes significantly on the insides of the rear boot door. On the sides, it points towards the side profile body lines and merges well with the bumper design. The rear resembles more with the Furia compared to the front when comparing the concept with the final car. Along with the masculine and aggressive styling, the new Corolla manages to maintain a fair bit of sophistication and elegance. It looks much more premium by foregoing of its rounded looks. The design seems more in sync with the new Camry which has been launched sometime back. 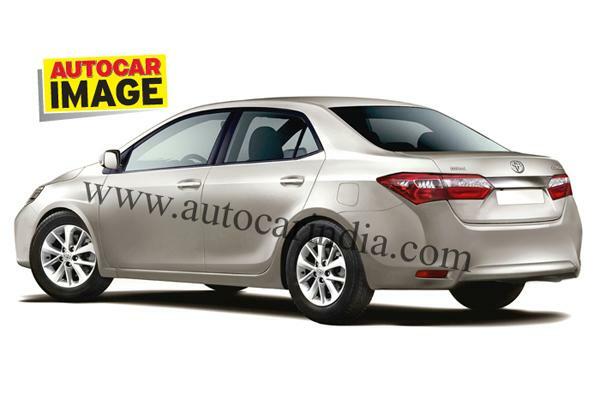 The much awaited upgrade of the Corolla Altis in India is expected to happen next year in 2014 with the new model hitting international markets gradually towards the end of 2013. Considering a major uplift, in fact a full body change, it is expected that the prices will also be higher compared to the ongoing model. We will keep you posted on the updates, stay tuned.